What is it? BBB (Base-By-Base) is a Java-based tool for viewing multiple-genome alignments in a graphical, base-by-base format. What can I do with it? BBB allows you to view DNA and protein sequences in a clear, user-friendly graphical format, residue by residue. 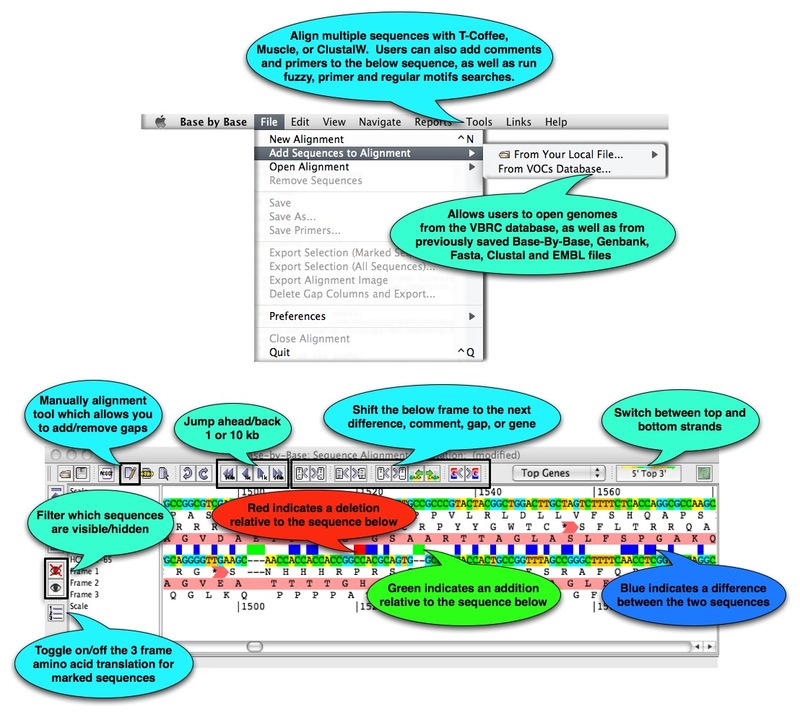 BBB also contains tools for creating alignments, editing sequences, inserting annotations (such as comments, genes, and primers) and performing sequence analysis. How do I get started? BBB can be accessed for free at https://4virology.net/. From the VBRC Tools drop-down on the left side of the page, select BBB, then click the Launch Program button. BBB will be downloaded to your computer and Java Web Start will automatically start the program.